Cartersville drivers who struggle to remember what type of maintenance they need for their Hyundai Santa Fe and when are in luck. Hyundai provides you with a recommended Hyundai Santa Fe maintenance schedule that you can easily follow. 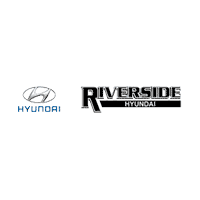 Connect with Riverside Hyundai if you have any questions, want to compare the Santa Fe to the Honda Pilot, and more! Why Follow the Hyundai Santa Fe Maintenance Schedule? Keeping your Hyundai Santa Fe in optimal condition is crucial for your safety, which is why it’s so important to follow the Hyundai Santa Fe maintenance schedule as closely as possible. Routine maintenance may help you avoid potentially detrimental problems and costly repairs. You’ll also enjoy smoother rides and the peace of mind that you’re doing what you can to protect your investment. Consult your owner’s manual for more information. In addition, the Hyundai Santa Fe should get an engine and oil filter change and a tire rotation every 7,500 miles. At this point, you should also look into replacing your climate control air filter. At 30,000 miles, the air cleaner filter also should be replaced. The Riverside Hyundai Service Center is here for all of your Hyundai Santa Fe maintenance needs. All you have to do is schedule an appointment with us, and our technicians will take care of you!